An early-career researcher workshop on "Improving healthcare operations through modelling and simulation" brought together scholars from the UK and Turkey in Bath, 28-30 July 2017. 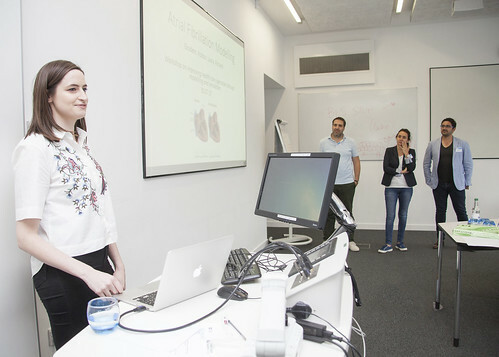 Invited by the School of Management, 25 early career and senior researchers from the UK and Turkey explored innovative decision-making tools to pressing challenges in healthcare planning and management, with a particular focus in applying systems modelling and computer simulation techniques to problems in health and care. The session was organised by Professor Christos Vasilakis, Director of the Centre for Healthcare Innovation and Improvement (CHI2) at the University of Bath, and his colleagues Profs. Evrim Didem Günes and Lerzan Örmeci at Koç University in Istanbul. With support from a British Council/Newton Fund Researcher Links grant, the workshop provided a unique opportunity for early career scholars to engage with senior researchers and healthcare practitioners, and to work together on a number of challenges in areas of care such as stroke prevention, outpatient care for chronic illness and hospital appointment scheduling. Collaborative research with practitioners is of significant value, as operational researchers rely on rich data and realistic scenarios to design mathematical models and computer simulations that can have meaningful impact in the way healthcare is provided. This also means that researchers need to acquire the skills to communicate with diverse stakeholders such as policy-makers, health planners or clinicians in designing research questions, sharing data and creating practical, easy-to-use toolkits for decision-making. This was an excellent workshop! The research challenges provided lots of new information and perspectives. I appreciated the friendly environment and effective communication between researchers from UK and Turkey, which I believe will lead to many fruitful collaborations. 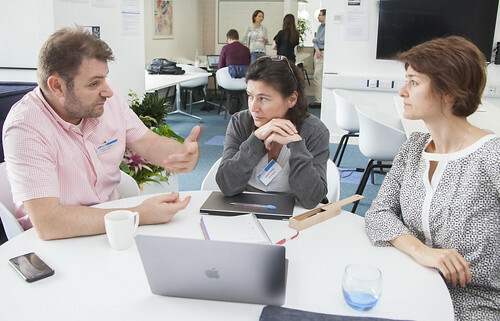 To facilitate a similarly collaborative approach, the workshop organisers encouraged participants to form smaller problem-solving teams and work together to design initial modelling solutions. Each team then had the opportunity to present their outcomes in a plenary setting and receive feedback from senior mentors and practitioners, including Dr Monica Baird, Deputy Medical Director at the North Bristol NHS Trust. The workshop’s collaborative design also benefited from the international exchange of scholars based at institutions in the UK and Turkey. Turkey’s fragmented healthcare system makes data collection in the country very difficult. Scholars therefore stand to gain from networks with UK partners to complement expertise in theoretical mathematics with building capacities in applied healthcare research. 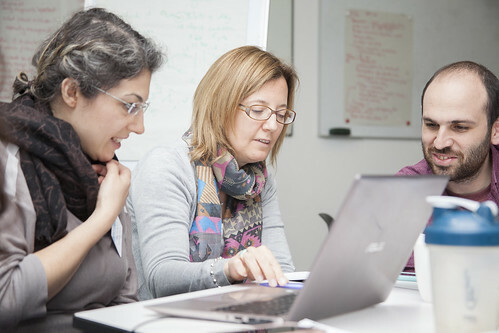 As research skills training, this working-group format has lots of potential to be developed further to ensure researchers are connected to actual problems in the health and care sector. It is also a model that can be applied to other areas of operational research such as transport or logistics. For the past five years, my research focus has been operating room scheduling: how to best allocate expensive operating room resources to benefit the patients, surgical team and the hospitals. This workshop gave me the perfect opportunity to meet with fellow colleagues with similar research interests and to establish potential collaborations in a warm and welcoming setting. I absolutely loved the workshop’s design around small and focused working groups around exciting and challenging problems. I look forward to reuse this workshop’s collaboration style to design similar study groups in the future. Researcher Links grants like the one Professor Vasilakis received are designed to support international networking activities for early-career researchers between the UK and select partner countries. Most of this workshop’s participants had been trained at institutions around the world, and were already familiar with working across diverse research cultures. Sustaining such links and transforming them into long-term projects can be more of a challenge. We had great fun organising and running this interactive research workshop with our collaborators from Koç University. We took full advantage of the School of Management Executive Education suite at The Edge to have teams working together over two and a half days on one of a number of research challenges drawn from real life problems in health and care. The close links between CHI2 and the local health economy made this possible. I think we managed to give early career scholars new ideas for research projects, and also create friendships and networks that can take some of the research ideas forward. All this was made possible with the generous support from the International Relations Office of the University of Bath. The International Relations Office at the University of Bath runs an internal funding scheme to support researchers at the university. Applications are made for seed funding to initiate new international networks, or to transform existing contacts into larger joint research projects and activities. The next call for funding will open in October 2017.
International funding - apply now!